The court battle over Texas’ controversial new abortion law, which sparked massive protests and that Wendy Davis filibuster before ultimately passing earlier this year, begins Monday. A lawsuit brought by a coalition of progressive and women’s groups, including Planned Parenthood, ACLU, and 10 others, begins in federal court in Austin today. U.S. District Judge Lee Yeakel is signaling that he plans to rule on the constitutionality of the legislation by October 28th, one day before the new law is set to take place. The coalition claims that the the bill would block one-third of the state's health centers from offering abortions, and is thus fundamentally unconstitutional. The case involves House Bill 2, which passed in a special legislative session last summer and drastically reduces availability of safe abortions in Texas. It mandates that abortions be carried out only in surgical facilities, and only by doctors with admitting privileges to nearby hospitals. It also bans abortions after 20 weeks, purportedly to minimize “fetal pain” felt by the unborn — even though the doctors cited in the "fetal pain" claim have said that their research says nothing of the sort — and places further restrictions on the administering of medical abortions. The opposing lawsuit alleges that the admitting privileges and restrictions on medical abortions are unconstitutional. The law requires that women receiving medical abortions take the requisite medication in the presence of a physician, and bans them from doing so after 49 days of gestation (current law puts the limit at 63 days). The admitting privileges require that abortion clinics be located within 30 miles of a hospital, and will force at least eight clinics to stop providing abortions. The law is being defended by Attorney General Greg Abbott, a vociferous opponent of abortion rights and candidate for governor in 2014. 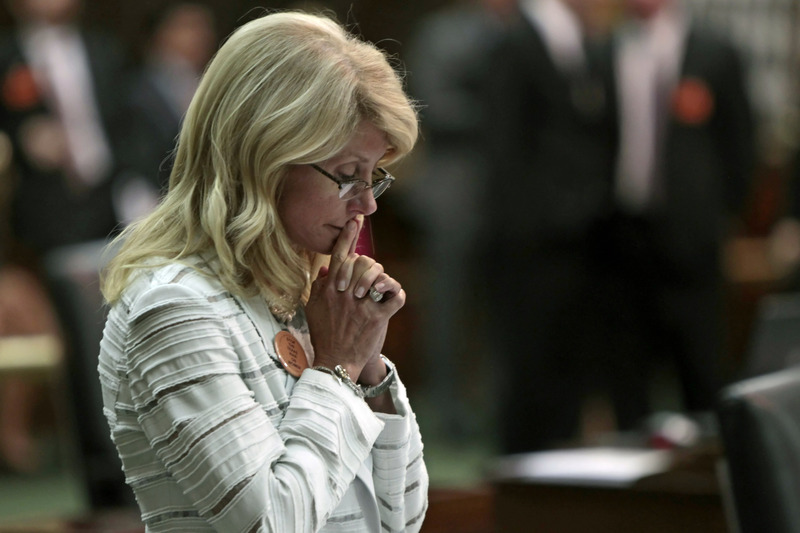 Fittingly, Abbott’s opponent in the governor’s race next year is State Senator Wendy Davis, who gained national attention for her 11 hour filibuster of House Bill 2 last summer. The plaintiffs will bring in five women to testify against the law, as well as testimony from three experts. The defense won’t call any live witnesses, relying entirely on expert testimony.